So great is the lure of the cannabis industry that it is attracting heavyweights from mainstream industries, congressmen, presidents and prime ministers. The latest to join the green rush is former Canadian Prime Minister Brian Mulroney, who soon will sit on the board of Acreage Holdings, a multistate marijuana company in the United States. Mulroney, who served as prime minister of Canada from 1984 to 1993, will join a board already stacked with directors from politics and big business, including: John Boehner, former speaker of the U.S. House of Representatives, and Douglas Maine, IBM’s former chief financial officer. The former prime minister also joins a growing list of former heads of state who are getting involved in the international cannabis industry. That includes former Israeli Prime Minister Ehud Barak, former Mexican President Vicente Fox and John Turner, who served as Canada’s prime minister in 1984. 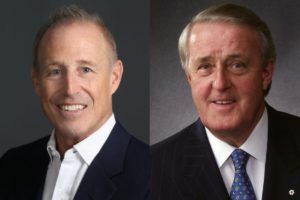 In a joint interview with Marijuana Business Daily, Mulroney and Acreage CEO Kevin Murphy – who will be a featured speaker Nov. 14 at MJBizCon in Las Vegas – discussed the global significance of Canada’s adult-use legalization, the business opportunities in medical cannabis, and when the MJ industry might see another major corporation enter the business after Constellation Brand’s $3.8 billion (CA$5 billion) investment in Canopy Growth. What is the significance of legalization in Canada in the context of the global cannabis industry? Mulroney: Legalization would be a big deal anywhere. We’re only the second country in the world to propose national legalization. Given Canada’s role as a member of the G-7, a member of the Commonwealth and one of the leading economies of the world, this makes a difference. It sends a signal of social advance to the rest of the world. My expectation is that – like everything else of significance – it takes a little while, but others will follow. The signal that Canada sends out will not fall on unresponsive ears. Some people say medical cannabis is one of the greatest business opportunities of our generation. What are your thoughts? Mulroney: Absolutely. Obviously, we’re on the cusp of an extraordinary period of development, utilization and need in this area to the extent that medical cannabis can be used to relieve sorrow, anxiety and tragedy that afflicts so many in Canada and the United States. This seems to be an opportunity for redemption by governments towards their citizens, on a par that is rarely equaled. This is a unique opportunity for informed debate and discussion on this issue, because the rewards for Canadians, Americans and others can be so bountiful. What does the interest of companies like Coca-Cola and Pepsi in cannabis tell you about this sector, which is still very young? Murphy: Whether you’re Coke, Pepsi, Anheuser-Busch or Molson-Coors, everyone sees how they can benefit – and benefit their shareholders – with cannabis. It’s a very complex plant. There are a number of components within the plant that provide wellness products. Coke sees it as more of as wellness opportunity, whereas alcohol and spirit companies see it more as a hedge against losing market share in their core businesses. When you think about the overall size of this business, and the opportunity set in front of each one of these companies, it would be a very difficult thing for the boards of these companies to ignore the opportunity in front of them, given their competitors are making swift moves in trying to capture some of the upside. When Coca-Cola moves, so does Pepsi. When Constellation moves, so does (liquor giant) Diageo. So far, Constellation is alone in making a serious push into the cannabis sector. Do you think other major corporations will follow soon? Murphy: Constellation was the first to put their foot forward with a check for $4 billion. But make no mistake: You are seeing all of the major players around the space angling as to where they can find their entry point into this opportunity set. Mulroney: Investors are queuing up to take advantage of a unique opportunity. While I was surprised at the amount, I wasn’t surprised at the fact, because it seems to be entirely logical that this is the way major investors and major corporations are going to go. Is Acreage’s goal to expand outside North America? Murphy: To date, our business plan is solely focused on the United States. With the 50 states that we have in front of us, 31 of which have a medicinal program for cannabis, we have our work cut out for us in those states. The United States is roughly 5% of the world’s population, but we as a country consume more than 80% of all opioids. That staggering statistic, along with another 115 people dying of opioid overdoses every day, has us focused on bringing an alternative – cannabis – to the marketplace. Do you think the United States will legalize medical cannabis at a national level? Mulroney: I wouldn’t be surprised (if it was legalized) for medical purposes. The wealth of advantages that will flow from the medical use of cannabis could be extraordinary. The United States is the world leader in research and development. The leaders of the United States would certainly not want to preclude possible advances in medicine. Murphy: When you think about the medicinal value of cannabis, and the fact that the Food and Drug Administration has given approval for a cannabis-derived drug produced in the United Kingdom, I think that legalization of medicinal, at minimum, is probably closer than many think in the United States.